From the beginning of Triplag project in 2005 as DJ Vic has put together and released many compilations on CDs and digital media. Working tirelessly on promoting and spreading his favorite style of psychedelic trance Vic and Triplag Music have given an opportunity to many various artists to present their music to a wide audience. Vic's vision and support from fellow artists helped to established Triplag as one of the influential darkpsy community and record label. With this release Vic makes a next step in label's evolution when DJ delivers music to the listener in a form of a continues sound journey through his own imagination and not just collection of single tracks. 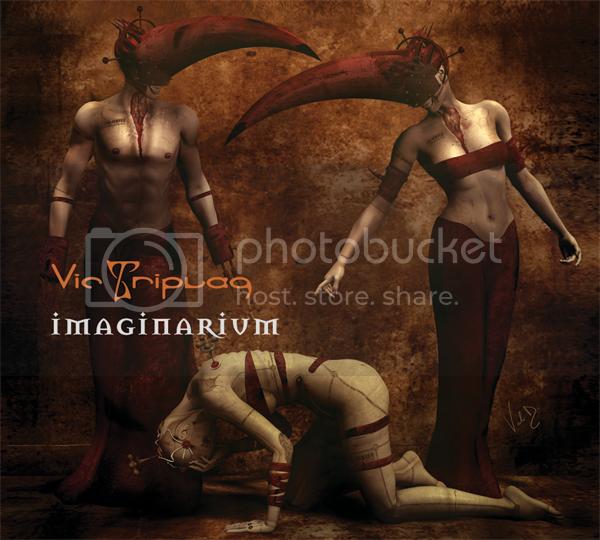 Imaginarium is a mix of tracks that were acquired over a period of 1.5 years and played by Vic all over the world in club parties and open-air festivals. It brings together various flavours of darkpsy genre that over the years have defined and shaped as Triplag Music and subsequently as Vic's own DJ style. 07. Urban - Follow On Space. Special thank you to Chris Cox a.k.a. Omega for lettig us use Designer Dreams steams throughout this mix! 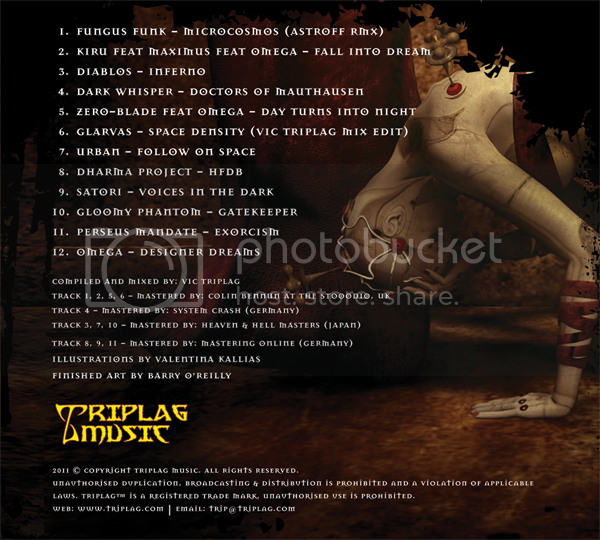 Last edited by TRIPLAG MUSIC on Fri Nov 11, 2011 1:29 pm, edited 2 times in total. So this is a Dj set? yes Sergio, all tracks are mixed. vic wrote: yes Sergio, all tracks are mixed. thank you guys for support!! An Interesting Infernal trip i can hear there. Im now listening to the CD. Can say that this is one of the most interesting works for the last time. The material is really good sometimes, some moments in tracks are really deep and so tasty, some less, but still all the track keep the story and the atmosphere alive. Wish to see more such a quality works in future! Thanks for your music! thank you very much for your comment Slavyan! Amazing mix with amazing tracks! Just heard it, gonna hear it again!